Here’s how the authors describe their findings in the paper: Continue reading How much does a retracted result pollute the field? Posted on May 2, 2016 May 2, 2016 Author Dalmeet Singh ChawlaCategories biomedcentral, freely available, liz wager, nature retractions, Research Integ Peer Rev, studies about retractions, the netherlands2 Comments on How much does a retracted result pollute the field? Can we teach good behavior in the lab? That’s the premise behind a number of interventions aimed at improving research integrity, invested in by universities across the world and even private companies. Trouble is, a new review from the Cochrane Library shows that there is little good evidence to show these interventions work. 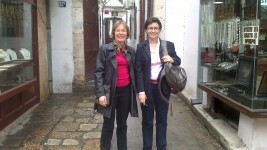 We spoke with authors Elizabeth Wager (on the board of directors of our parent organization) and Ana Marusic, at the University of Split School of Medicine in Croatia. Sharing data is a good thing. But we need to consider the costs. Last week, the International Committee of Medical Journal Editors proposed requiring authors to share deidentified patient data underlying the published results of clinical trials within six months of publication. The proposal has earned much support but also some concerns – for example that other scientists might poach the findings, acting as the New England Journal of Medicine dubbed “research parasites.” Elizabeth Wager, a member of the board of directors of our parent organization, disagrees with that concern, but raises another issue – namely, the unintended consequences of data sharing on other, more effective initiatives to make reporting more transparent. The recent proposal from the ICMJE may appear, at first glance, a positive step towards better clinical trial reporting. However, I’m concerned that this new requirement might undermine other more effective initiatives to increase the efficiency of research, such as the publication of protocols and full study reports. Here’s why. All actions have costs, risks, and benefits: Making partial data sharing a condition of publication is no exception. The costs are hard to quantify but undoubtedly not trivial. Putting clinical data into a usable format and making it meaningful to other researchers requires considerable time and effort by knowledgeable people. To this must be added the costs of establishing and maintaining suitable repositories and of checking compliance. I’m not saying that open data does not have any benefits. Continue reading Sharing data is a good thing. But we need to consider the costs. Posted on January 28, 2016 January 29, 2016 Author Elizabeth WagerCategories clinical study retractions, data issues, liz wager17 Comments on Sharing data is a good thing. But we need to consider the costs. 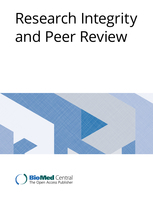 Why do — and don’t — journal editors retract articles? Liz Wager, the chair of the Committee on Publication Ethics, knows something about retractions. 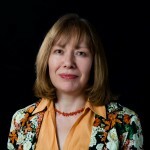 In April, she and University College London’s Peter Williams published a paper in the Journal of Medical Ethics showing that journal editors’ approaches to retractions aren’t uniform. 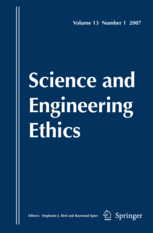 The pair is back with another paper, using the same dataset of retractions and published in Science and Engineering Ethics, in which they ask journal editors why they retract — or don’t. The findings — more on them below — informed COPE’s 2009 guidelines on retractions, as did those in the April paper. From the introduction to the new paper (link added): Continue reading Why do — and don’t — journal editors retract articles? Posted on July 25, 2011 Author Ivan OranskyCategories liz wager, studies about retractions7 Comments on Why do — and don’t — journal editors retract articles? Last week, we shared Ivan’s presentation on how journal editors can detect and deter misconduct from the annual Council of Science Editors meeting. This week, we’re pleased to share another presentation from that panel. This one is by Liz Wager, chair of the Committee on Publication Ethics. Wager’s name will be familiar to Retraction Watch readers. She’s appeared here a number of times, and just last month published a study of retraction notices. Just today, she testified about peer review before the UK Parliament’s Science and Technology Committee.